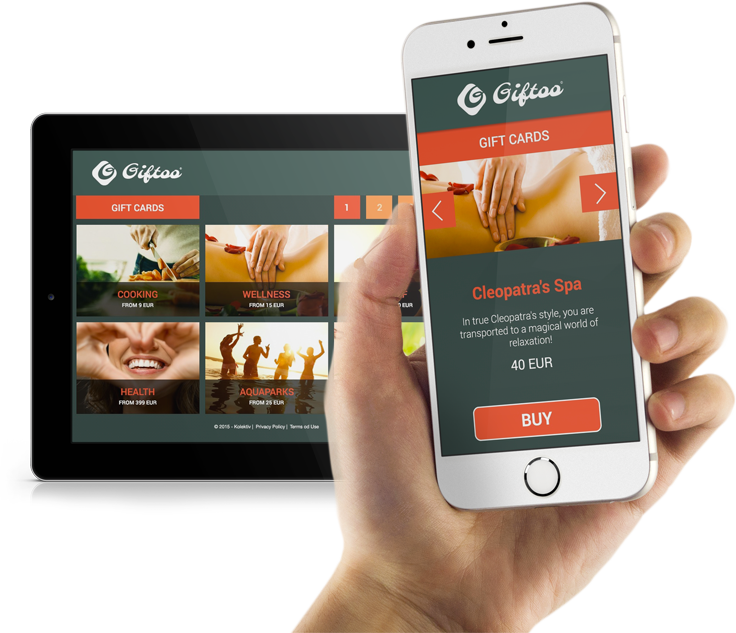 Giftoo is a specialized gift certificates web and mobile shop created with one simple vision: to make the gift cards shopping experience as simple and efficient as possible, while at the same time providing the best possible user experience on any device. Contact us and we will set everything up for your own gift certificate store. Configure your gift certificates in our simple-to-use product catalog. Well, that’s it actually. From here on you can start selling your gift certificates online. Increase your conversion rates by allowing people to purchase your products and services when they want, from any device they want. Add a simple link or button to your existing website and start selling your own instant printable gift certificates online. Ideal for Spas, Hotels, Activities Centres, Salons, Shopping Malls and Shops, Restaurants, B&B and more. Fast, simple, painless – how online shopping should be. 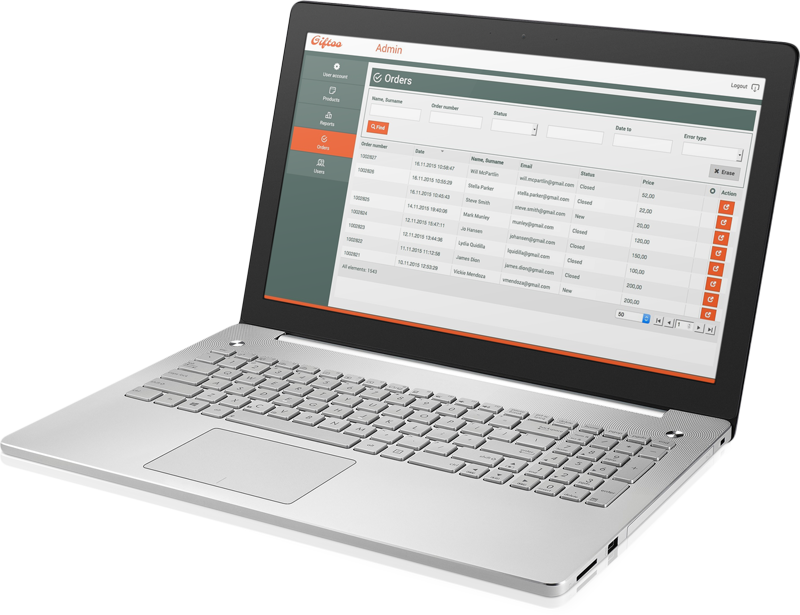 At the core of Giftoo is a system that breaks down the purchasing process into three easy steps. 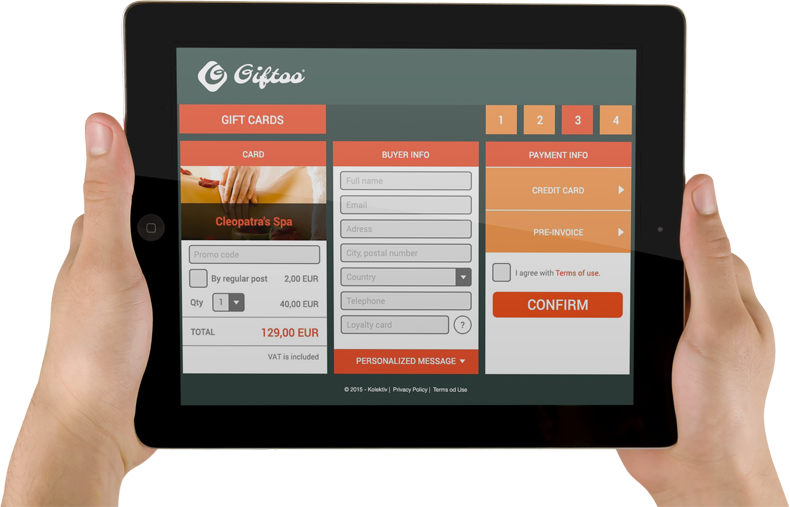 The Solution enables you to offer Gift Certificates that can be sent via post (physical form), email or can be printed out instantly by customers. Last two options are great for your last minute gift buyers. 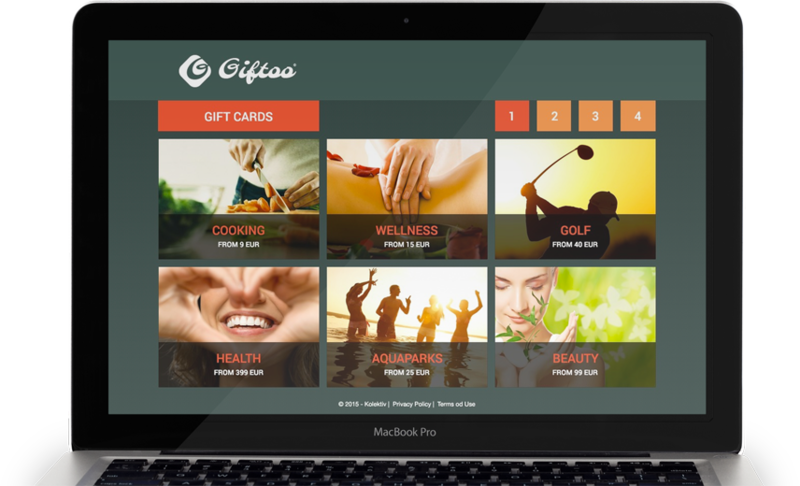 Giftoo has exceptional conversion rate which is close to three times the industry average. Over 20% of visits and purchases happen on mobile devices and the number is increasing. Take advantage of the additional sales channel that has proven to increase our customers’ gift certificates revenue instantly.